For such a light, bright, colorful few months — summer is the season that makes the biggest statement, but also the season that blasts on through the quickest. But with the blasting comes the overgrown lawns, neighborhood walks at 9:45 p.m. when it’s still light out (!) and dinners consisting of heaping servings of strawberry crisp. Or how about the impromptu sidewalk picnics at lunchtime or the beautiful, blooming Dogwood trees lining the block? Seattle, maybe a little more than some sunnier cities, waits hard for this time of year. I’d like for you all to know that I’ve locked the winter coat away for good, and while the raincoat is definitely making an appearance of late, I hope not to look at a stitch of fleece for a good few months. 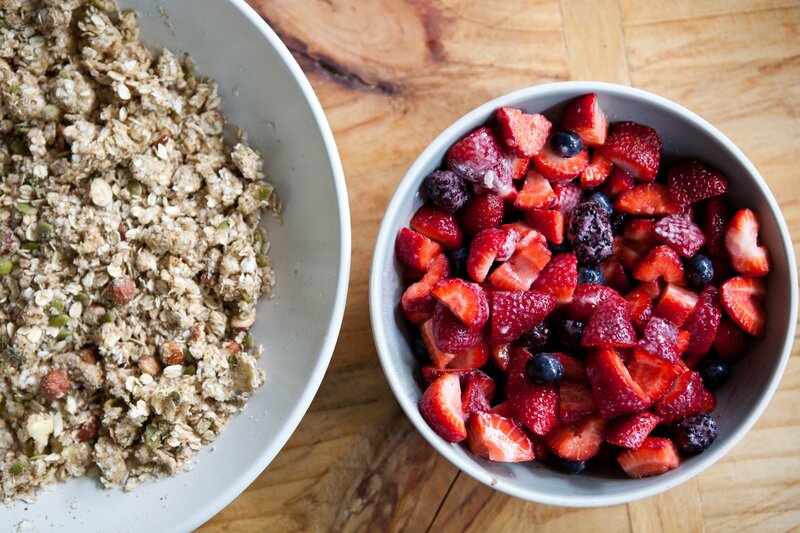 And to eat more berry crisp for dinner — which brings us all here right now. I received Kimberly’s new cookbook, Vibrant Food, in the mail a few weeks ago and one of the recipes that immediately jumped out at me was the Summer Berry and Peach Crisp. I met Kimberly through her blog The Year in Food; we both had friends and cities in common and she’s so genuine that we hit it off right away. 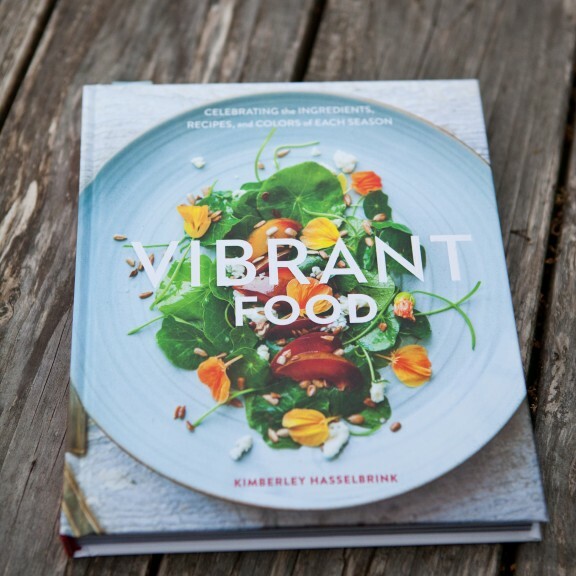 In addition to recipe development, Kimberly is a super talented photographer, so it’s no surprise this book is a beauty, and there are so many recipes I can’t wait to make (Sweet Corn and Squash Fritters, Summer Squash Pasta with Green Goddess Dressing, Almond Honey Cake with Poached Quince). It’s organized seasonally and further categorized by produce or ingredient, so it’s not only beautiful but also useful — the best kind of books. When I sat down to glance at the crisp recipe, I knew peaches would be a stretch, but I’ve been trading Marge Granola for flats of strawberries at the end of each farmers market lately, so I knew we could easily be in business. With the back door wide open and a nice evening breeze accompanying me in the kitchen, I was off — mixing berries with a little lemon juice, working butter into a simple mixture of oats and nuts and greasing our cast-iron skillet (I decided to bake our crisp in a skillet instead of a more traditional casserole dish). It came out of the oven bubbling hot and fragrant at about 7 p.m. and the sun was shining and our picnic table beckoned, and there’s a chance it became dinner. And that it was enjoyed right out of the pan. It’s my sincere hope there will be much more of that this summer. I’ve been making a list of books and podcasts and all kinds of travel and summer-related links to share with you, so more of that soon. 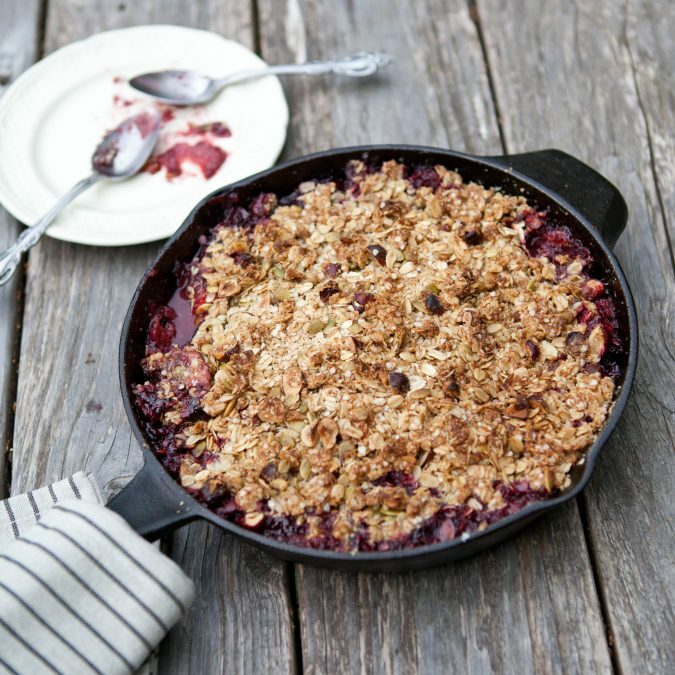 But for now, let’s eat skillet berry crisp. Right out of the pan. A few quick recipe notes: Kimberly’s recipe calls for a variety of fruits but you could certainly make this with any fruit you like, or more of one than another. Essentially if you have about 5 – 5 1/2 cups of fruit you’re good to go here. Because I’ve been a little crazy about sugar lately I used a little less sugar than the recipe called for and I ended up using 1 cup of quinoa flakes in the topping. If you can’t find these, certainly use oats instead. But I love their little hit of protein and they work into the cold butter so beautifully. Last, because I was too lazy to go out and buy almonds (what Kimberly suggests), I used hazelnuts and pumpkin seeds here for the nuts. Use any nuts you’d like — just keep the proportions about the same. Pecans would be great as would walnuts. 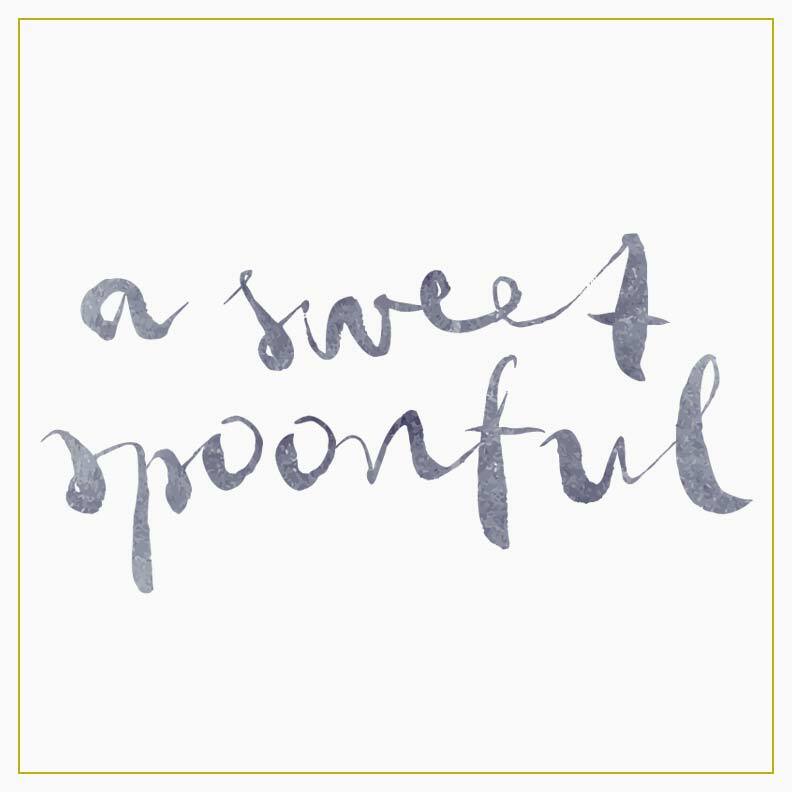 Make the topping: In another large bowl, combine the oats, nuts and seeds, hazelnut meal, brown sugar, salt and spices. Add the butter and use your fingers to work the dry ingredients and butter together to form a loose mixture. Sprinkle evenly over the fruit. Bake for 30 to 35 minutes, or until the crisp is golden brown and bubbling at the edges. Allow to cool 10 minutes before serving. Serve warm. Right out of the pan, or in small bowls topped with ice cream if you’d like. Love the look of this skillet crisp! And the topping looks amazing with seeds and nuts in it! I'm pretty sure fruit crisp is the perfect dinner at any time of year but it's something particularly special at this time of year, bursting with juicy fruit. I am always amazed how fast summer goes. 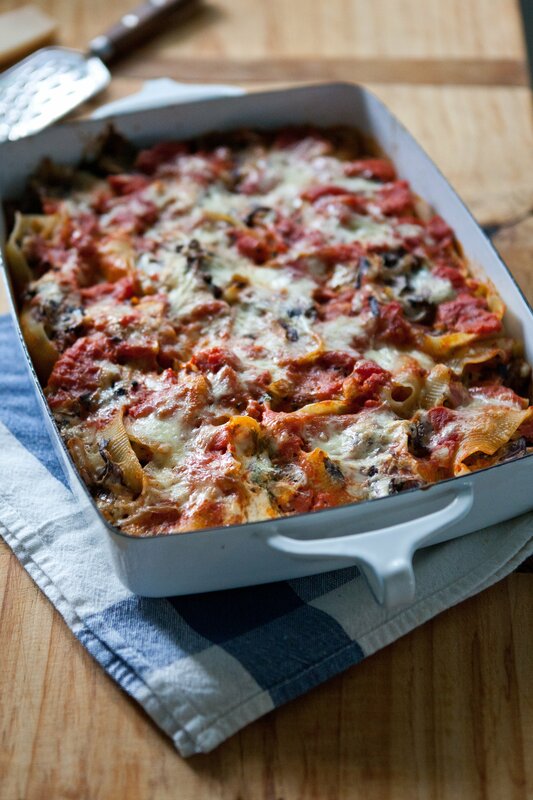 Recipes like this are my fav in the hot months! Yes yes yes. Those summers you've got up there are my favorite, and I agree: hard won and well-deserved. We don't have 9:45 twilight here, as you know, but I think that's the trade off. I love this and I can't wait to enjoy a little bit of that summer magic with you. xo. Fruit crisp is definitely one of the best treats of summer! Although I must admit I have a hard time getting my berries home intact -- somehow I keep eating them all before I have a chance to bake with them. :) Going to have to exert some willpower to make this! I'm going to have to try this recipe next- I am loving the book too And you should make the Honey Almond Cake next- it's my current obsession! Oh yes, summer in the Pacific Northwest! I actually had a light jacket on today from the cooler breezes coming off the water. And the markets are so lush with berries right now! Isn't it wonderful?! The crumble looks inviting and I agree, would make a delicious dinner! I like how you baked this in a cast iron skillet. I'm looking forward to trying this and checking out Kimberly's book. Where can I find quinoa flakes? ps: I have a(nother) bowl of quinoa salad in the fridge, as I type. No joke. Cannot. Stop. Eating. This book keeps getting praise everywhere I turn...that cover alone is quite inviting. Your version look delicious! I think I'd love it topped with vanilla ice cream. Oh yes. Happy summer! 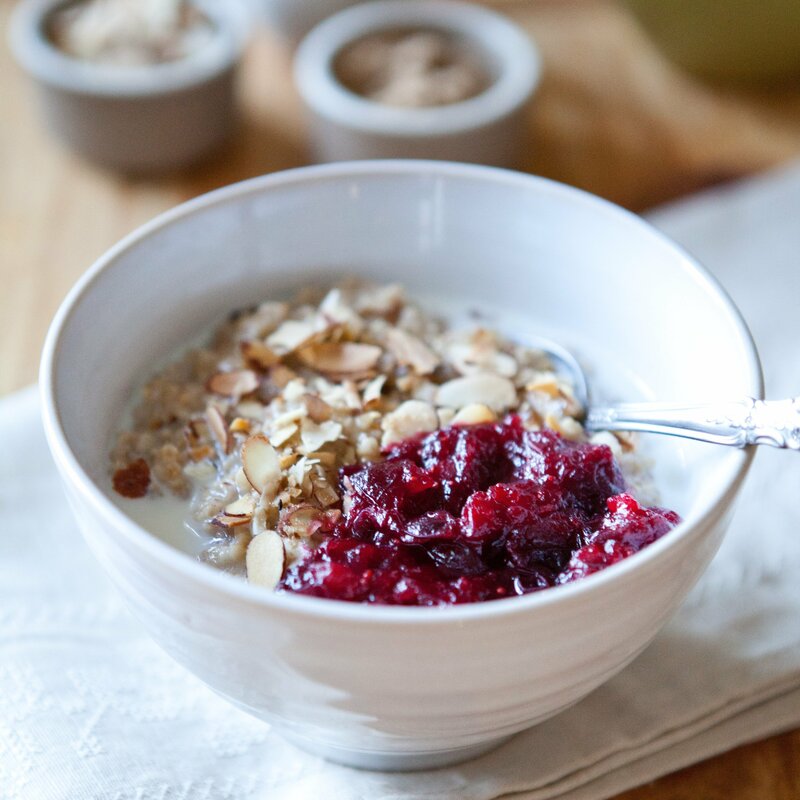 Quinoa flakes are so versatile! I even used them in your farro cakes recipe in place of bread crumbs! 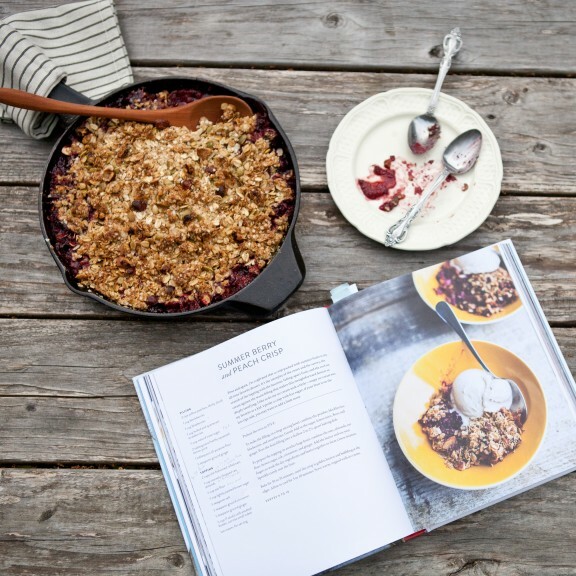 And this crumble looks nutritious and delicious! I love berry season. I want make a crisp for a friend with a citrus allergy. Will leaving out the lemon juice the texture of of the crisp? This looks wonderful Megan! Just got your book and I just love it. I also mentioned you on my Face Book page today as my favorite good summer read. Looking forward to making some of your recipes "my own". I made this tonight and it was wonderful. Did all Blueberry and all almonds and almond meal as that's what I had on hand. 2 questions: should this be refrigerated? There are only 2 of us, and my husband worries about leaving anything in a cast iron skillet for any length of time. Anyone?? ?